The rise of molecular technologies has yielded exciting new routes for studying the biological foundations of human traits. In particular, researchers have begun to identify genes implicated in developmental disorders that disrupt speech and language skills. My talk will illustrate how such work can provide powerful entry points into critical neural pathways, using FOXP2 as an example. Rare mutations of this gene cause problems with learning to sequence mouth movements during speech, accompanied by wide-ranging deficits in language production and comprehension. FOXP2 encodes a regulatory protein, a hub in a network of other genes, several of which have also been associated with language-related impairments. Studies of the gene in animals and birds suggest that the contributions of FOXP2 to human speech and language involve modifications of evolutionarily ancient functions. Overall, this body of research illustrates the value of an interdisciplinary approach for unravelling the complicated connections between genes, neurons, brain circuits and language. Simon E. Fisher is director of the Max Planck Institute for Psycholinguistics, and Professor of Language and Genetics at the Donders Institute for Brain, Cognition & Behaviour in the Netherlands. Simon obtained his Natural Sciences degree from Cambridge University, and his Human Genetics DPhil from Oxford University. From 1996-2002, as a postdoctoral researcher at the Wellcome Trust Centre for Human Genetics in Oxford, he carried out genomic investigations of neurodevelopmental disorders such as dyslexia and specific language impairment, and was co-discoverer of FOXP2, the first gene to be implicated in a speech and language disorder. From 2002-2010, Simon was a Royal Society Research Fellow running his own laboratory at the Wellcome Trust Centre, where he used state-of-the-art methods to uncover how language-related genes impact on brain development. Simon’s research integrates data from genetics, genomics, psychology, neuroscience, developmental biology and evolutionary anthropology. 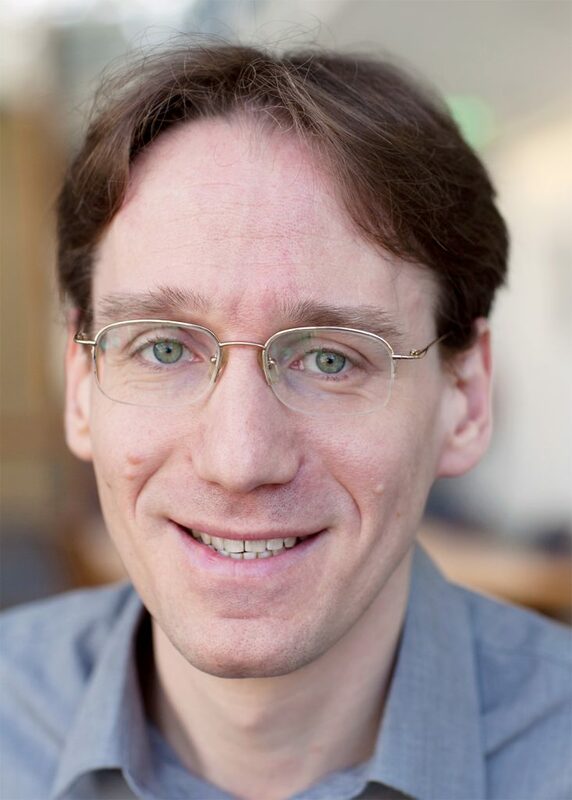 His awards include the Francis Crick Medal and Lecture, and the Eric Kandel Young Neuroscientists Prize. In my talk I will focus on the phenomenon of ‘dialect’ from different angles: theoretical linguistic, cognitive, sociolinguistic and language ideological. I will show that speaking a dialect when a standard language is around as a majority language is never a social neutral practice (as is speaking the standard language). I will discuss outcomes of cognitive research revealing that dialect speaking children between 5 and 8 years do not differ from their exclusively speaking Dutch peers in their acquisition of Dutch vocabulary. This finding is in contrast with an implicit assumption in education that speaking of dialect will hinder a native knowledge and mastery of Dutch vocabulary by young children. I will discuss that dialects are being examined extensively in generative micro-variation research as well in dialectology as monolithic, fixed objects whereas sociolinguistic research shows that dialect speaking is a fluid practice as well through which people construct regional identity(ies). The kinds of linguistic forms they put into use are dependent on the context and not only on linguistic, internal factors. One way to get grip on these tensions and different ways of studying the object ‘dialect’ is to examine language ideology. I will follow Woolard’s cognitive frame in order to understand why speaking dialect in a standardized world gives rise to tensions both in society as well in linguistic research. Leonie Cornips is affiliated at the Meertens Institute (KNAW) and Maastricht University, chair ‘Languageculture in Limburg’. She has investigated syntactic variation in newly developing regional varieties, and emerging new varieties (such as Moroccan-Dutch, Turkish-Dutch, Surinamese-Dutch) Her latest research is about the construction of regional identities through language practices in Limburg. Automatic translation services such as Google Translate and speech recognition engines such as used by Siri are examples of the radical data-driven state of affairs in language and speech technology. Uninformed by anything that resembles abstract linguistic theory, these systems perform language tasks reasonably well. They can be seen as the computer’s solution to really hard problems in language. Should linguists be interested in these solutions? I argue that they should. In this talk I review computer solutions to spelling correction and statistical language modeling (“predicting the next word”), working with the simplest possible sequential concepts: word n-grams and skipgrams. Taking the classic meaning of skipgrams, i.e. n-grams with skipping positions (“The <skip> jumped over the <skip>.”), I intend to demonstrate some of the power that lies within this simple generalization of the n-gram. I report on two case studies: the work of Peter Berck (graduated from Radboud University in 2017) on memory-based text correction, and the work of Louis Onrust (PhD student in Leuven and Nijmegen) on Bayesian language modeling. Both studies point at the intrinsic advantages of being able to skip over positions in modeling language. More generally, I discuss why I think linguists should get on their knees, grab a magnifying glass, and inspect the wonderful world of the simplest, yet very powerful structures in language. Antal van den Bosch is director of the Meertens Institute of the Netherlands Royal Academy of Arts and Sciences, and professor of language and speech technology at the Centre for Language Studies at Radboud University, Nijmegen, the Netherlands. After obtaining his MA degree in computational linguistics (Tilburg University, The Netherlands 1992), he held research positions at the experimental psychology labs of Tilburg University and the Université Libre de Bruxelles, Belgium, obtained his Ph.D. in computer science at the Universiteit Maastricht, the Netherlands (1997) and held several research positions at Tilburg University, where he carried out an NWO Vici project. In 2011 he moved to Nijmegen, and in 2017 to the Meertens Institute. His research interests include exemplar-based natural language modeling, text analytics applied to historical texts and social media, and proofing tools. He is a member of the Netherlands Royal Academy of Arts and Sciences and EurAI Fellow. Most studies of language focus mainly on spoken/written forms of language and view language only as an amodal abstract system. However there is growing evidence on the role our meaningful bodily actions play in language, and communication as well as in language processing and learning. In this context, I will discuss what our meaningful visible bodily actions reveal about our language capacity as revealed by the gestures used by speakers as well as y the signs used in natural sign languages by deaf communities. I will review evidence from cross-linguistic, behavioral, and neurobiological research, showing that cospeech gestures as well as certain sign language structures reflect imagistic, iconic and action-based (rather than the abstract/arbitrary) aspects of events talked about ( e.g.,a typing gesture while saying “i worked all night”) and modulate language production and comprehension processes as well as language acquisition trajectory in L1 and L2 learners and possibly even its evolution/emergence. Overall I will argue that studying language multimodally reveals how grounded language is in our visible bodily actions and opens up new ways to study language in its situated, natural face-to-face context. Aslı Özyürek after completing her BA in Psychology at Bogazici University Turkey, earned a joint doctoral degree in Psychology and Linguistics from the University of Chicago (2000). Her adviser was Prof. David. McNeill and her thesis investigated the role of social space and addressee design in shaping speech and gesture. Since then Asli has held a postdoctoral position with Prof. Sotaro Kita at the MPI for Psycholingusitics Nijmegen and an Assistant Professor position at Koç University Psychology Department (between 2000 and 2003). 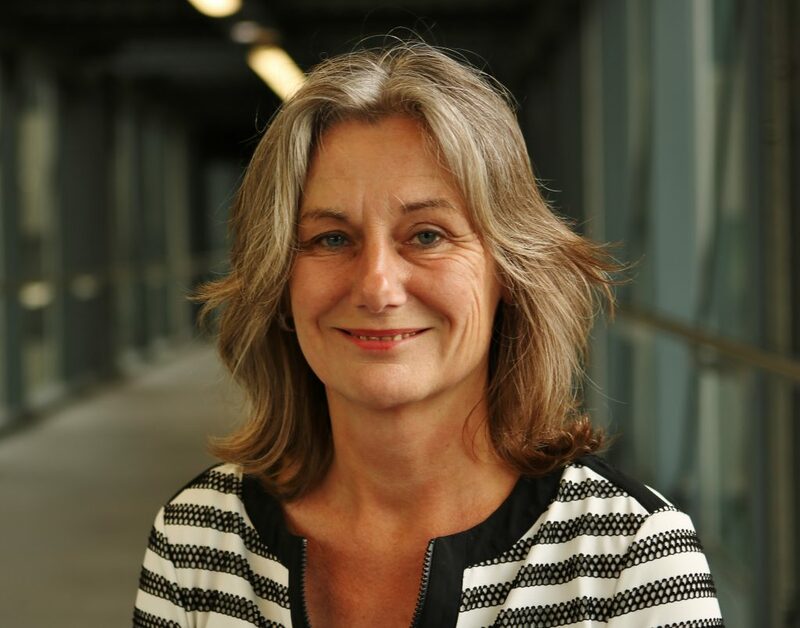 She has been affiliated with Radboud University Nijmegen, Centre for Language Studies since 2004, where she is currently a full professor (since 2010). She is also a research fellow at the MPI for Psycholinguistics and the Donders Institute for Brain, Cognition and Behaviour. Together with Dr. Judith Holler she coordinates the Nijmegen Gesture Centre. In much of my work I have been attempting to account for language contact data in a framework that is loosely based on the usage-based approach to linguistic theory formation that has been the cornerstone of much of what is often referred to as ‘Cognitive Linguistics’. That has culminated in three recent papers that explore the usefulness of the usage-based approach for language change, borrowing, and codeswitching, respectively (Backus 2014a, 2014b, 2015). Similarly, in various recent empirical projects on Turkish-Dutch contact in the Netherlands, a usage-based approach has informed the design of the study and the way in which results were interpreted. In this presentation, I will focus mostly on recent work on codeswitching data that show the following characteristics: high intensity of mixing, many examples that are difficult to classify as either insertion or alternation, and increasing grammatical integration of Turkish and Dutch lexicons and grammars. Together, these suggest that when the intensity of codeswitching is high, the boundary between the two languages starts to disappear. This in turn means that the phenomenon of congruent lexicalization, typically assumed to be frequent only when the languages in contact are typologically very similar, can occur in a pair of languages as diverse as Turkish and Dutch. In the presentation I will aim for two things. First, I will present data in support of the generalizations sketched above. Second, I will discuss some implications for our theories of language contact and of language itself. Ad Backus is Professor of Linguistics and Sociolinguistics in the Department of Culture Studies at Tilburg University. 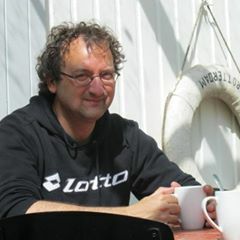 He got his PhD in 1996 for a thesis on Turkish-Dutch codeswitching and has since been working on various projects that combine an empirical focus on bilingualism with theoretical explorations of the ‘usage-based’ framework. He is currently the Chair of the International Symposium on Bilingualism. A book co-written with Pieter Muysken and Suzanne Aalberse is forthcoming. Dutch prescriptive grammar rules dictate that the particle dan ‘than’ should be used in comparatives such as beter dan ‘better than’ whereas als ‘as’ should be reserved for equatives like even goed als ‘as good as’. This has been an issue for grammarians ever since from the sixteenth century onwards als ‘as’ has been used as an alternative form in comparatives. Whereas the prescriptive rule in Dutch that was made up in the 17th century can be held responsible for inhibiting or at least slowing down the process of replacing dan by als in Dutch comparatives, even after centuries of teaching als is still frequently used, and almost all dialects of Dutch predominantly use als in comparatives. The Woordenboek der Nederlandsche Taal (1884) compares the development in Dutch to the development in German, in which denn had already been replaced by als by that time, and ends with a passionate appeal not to let that happen in Dutch. In German, after als replaced denn, wie was recruited to replace als in equatives, and nowadays wie is reported in comparatives (besser wie ‘better as’), which is also disapproved of by German language purists (Jäger 2010, 2013). The transition from the use of the comparative particle dan ‘than’ towards the particle als ‘as’ in Dutch comparatives, and similarly the replacement of denn/dann by als in Early New High German, and als ‘as’ by wie ‘how’ in present-day German, has been analyzed as the result of a conflict between two competing principles, Economy and Iconicity (Reinarz et al. 2016). While the grammar of an adult speaker is usually thought of as a fully symmetrical system in which sentences that can be interpreted by the grammar will also be produced by that grammar and the other way around (Hendriks 2014), prescriptive rule violations such as the use of als in Dutch comparatives or wie in German ones raises an interesting question, because while many, especially high-educated people do not use als in comparatives in Dutch or wie in German, they do interpret such constructions correctly. This raises the question whether prescriptive rule violations are part of their grammar or not (cf. Hubers et al. 2016). In order to address that question, I will report on a series of experiments that we conducted in Nijmegen to examine the differences in processing between prescriptive rule violations on the one hand, and truly ungrammatical as well as truly grammatical sentences on the other. The aim of my talk is to shed some light on how to model the interaction of grammatical principles and factors hat go beyond the grammar proper, such as sociological pressure reflected in prescriptive grammar rules. Helen de Hoop is Professor of Theoretical Linguistics at Radboud University, as well as one of the editors of Journal of Linguistics. 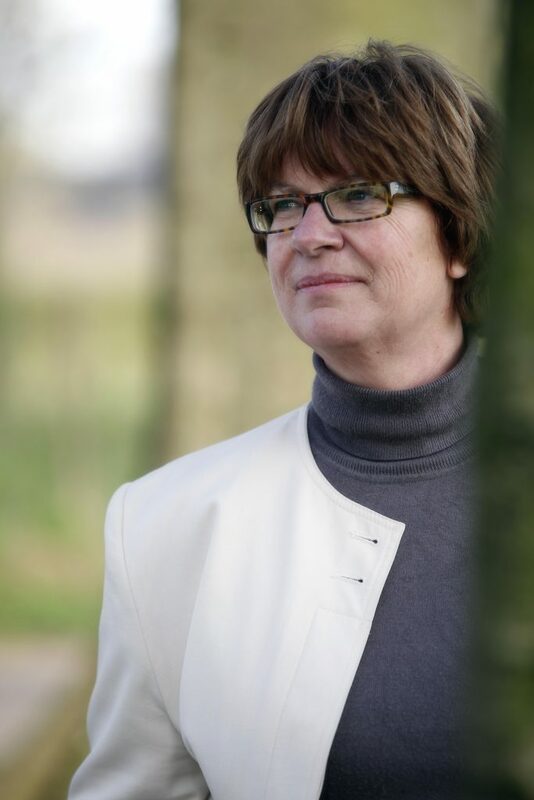 She obtained her PhD in Linguistics from the University of Groningen and was later affiliated with the Utrecht Insitute of Linguistics, the University of Potsdam and Leiden University, before she came to Nijmegen, where she is also the coordinator of the research group Grammar and Cognition. Helen’s research focuses on the relationship between syntax and semantics, investigating different languages and comparing them.